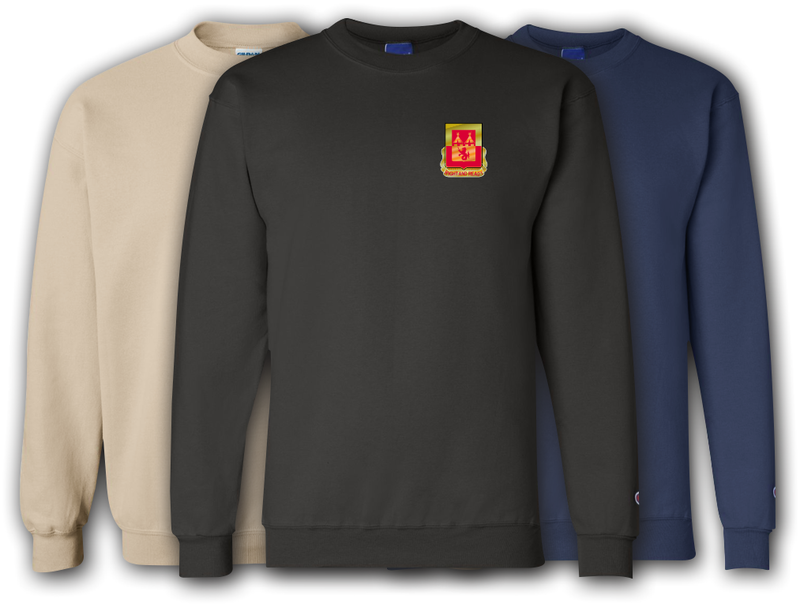 This 183rd Field Artillery Division Unit Crest Sweatshirt is made 9.5 oz., 50/50 cotton/polyester, 1x1 rib collar, cuffs and waistband with spandex and concealed seams on cuffs, Double-needle stitched waistband, armholes, and collar, seamless body with set-in sleeves. Each sweatshirt is embroidered in the USA with high quality Rapos thread and is available in 3 different colors. Custom text can be added beneath the insignia from the drop down menu above. This 183rd Field Artillery Division Unit Crest Sweatshirt would make a wonderful addition to your collection or a great gift! It�s quality is guaranteed.